We think of Astronomy as a visual science. Spotting constellations on the night sky, admiring the Moon changing shape over the course of the month, watching the rings of Saturn with simple telescope… This is astronomy, isn’t it? Does that mean that blind or visually impaired person cannot study Astronomy of be an astronomer? While visible light sure does help us learn about stars, planets, moons and other beautiful things out there, we study space objects using the whole range of electromagnetic spectrum. Radio waves, microwaves, infrared and ultraviolet light, gamma and x-rays are just as important. Can we see them? Of course, not! Luckily we have special telescopes and instruments sensitive to the wavelengths we do not see with our eyes. But what about optical telescopes? Sure we can see Space through them! Unfortunately, the days of looking at the sky through “two small pieces of glass” are over for professional astronomers. When they “observe” the sky with optical space telescopes, they simply read the data sent by telescope managing team on their computer ( and that means numbers, numbers, numbers). When they “observe” the sky with optical ground based telescopes, they usually sit in a separate computer room and read the data on their screens! And that’s numbers too! So the “visuality” of astronomy is more about the way we present the information (think about all those beautiful images from Hubble Space Telescope) and communicate it to each other. And that sure should and can be changed to include the wider community! After all, there are over 2 million people living with a sight loss in the UK alone! We were pleased to find out about a number of initiatives aimed to make astronomy more accessible for the visually impaired people. Some of these initiatives come from big organisations, like NASA and the International Astronomical Union. And some were started by astronomy professionals and amateurs who are visually impaired themselves! Many of the project use the same technology, 3D printing, to communicate the information to the blind people! Some focus on general space knowledge while others concentrate on current research. Back in 2014 astronomers from Space Telescope Science Institute, Baltimore created and tested 3D prints of some of the Hubble Space Telescope images. It was a big challenge for the scientists to recreate flat pictures in 3D as well as to choose the right texture for easy navigation across the image. In the future researchers hope to make all Hubble images available as 3D print-outs. Dr Enrique Perez Montero from Andalusia Astrophysics Institute in Granada set up a project Accessible Astronomy. The aim of the group is to share the astronomical knowledge with the blind community. The sky at your fingertips is a website designed by the Astronomical Observatory of Padua for the International Year of Astronomy 2009. 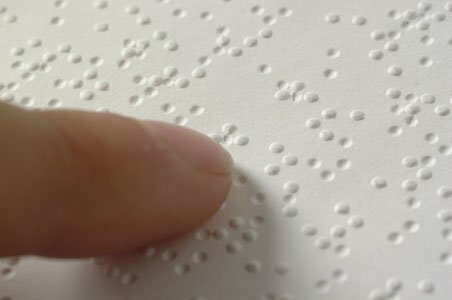 The site contains general information about the Universe and consists of tactile images and relevant information in Braille. The topics include the Solar System, galaxies, different stages of star evolution and the elements of cosmology. Tactile Universe is a project of the Institute of Cosmology and Gravitation, Portsmouth, UK (lead scientist Dr Nic Bonne) focused on creating amazing 3D printed images of galaxies. At the moment the astronomers work with local schools. But the recent outreach award they received will allow the scientists to take the matters nationwide. They will be able to do outreach visits, organize workshops for educators and, most importantly, to share the models with the community! 3D model of Whirlpool galaxy (M51) accompanied by “tactile tour” information is already available for printing. This project if focused on the current research and will be especially interesting for young people. As you can see, there are lot of passionate scientists and educators out there working hard to make Astronomy accessible for everyone. Though their efforts seem to just scratch the surface at the moment, they send an important message to both scientists and the visually impaired people. In the nearest future we hope to see the tactile images and expositions in all major science and space centres as well as tactile and audio resources available for the teachers to use in schools. Space is for everyone! Any questions? Read our other space dome blog posts and visit our inflatable planetarium to learn more about Space.